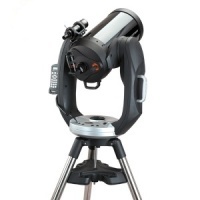 A rock-solid dual fork arm mount and large aperture at an affordable price: that's what makes the Celestron CPC telescope a favorite among experienced amateur astronomers. 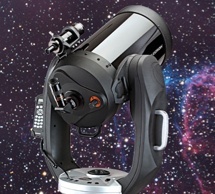 Celestron's revolutionary SkyAlign plus an internal GPS make alignment a snap. Use the computerized hand control to quickly slew to over 40,000 celestial objects, then track your target precisely as it moves across the night sky. Imagers can place the CPC dual fork arm mount on an optional HD Pro Wedge to polar align it for long-exposure astrophotography. Thoughtful ergonomic design makes setting up and breaking down your CPC quick and painless. 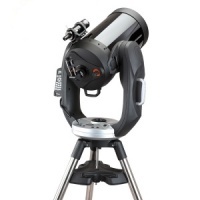 CPC Deluxe HD range is an improvement upon the beloved CPC telescope range with added acclaimed EdgeHD optics to create a system primed for serious visual observing and astroimaging. 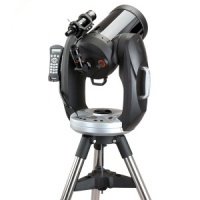 Featuring the pinnacle of Celestron's optical technology--EdgeHD--the CPC Deluxe HD offers unsurpassed views with pinpoint stars all the way to the edge of the field of view. This versatile system also meets the needs of advanced imagers, featuring All Star Polar Alignment with the optional HD Pro Wedge accessory. 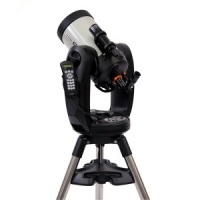 The CPC 800 GPS XLT is the most portable of Celestron's top-of-the-line fork-mounted astronomical telescopes and includes Celestron's premium StarBright XLT coatings. CPC 925 GPS — Unique design, advanced features, GOTO accuracy, and superb optics. 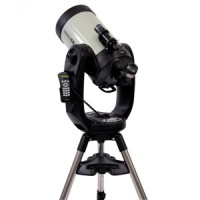 The CPC 1100 GPS takes full advantage of its vast database of thousands of NGC and Abell galaxies as well as delivering a new level of detail to all your favorite deep sky objects. CPC Deluxe 925 HD is specifically designed for astro imaging and optimized to reduce aberration across a wide field of view. 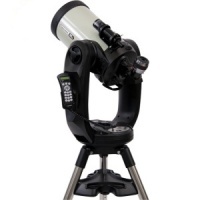 The largest aperture of the CPC Deluxe HD series, the CPC Deluxe 1100 HD telescope has the most light-gathering power; almost 90% more than the 8" model and over 40% more than the 9.25".